Trees planted along streets have been identified as a desirable public resource due to the measurable ecosystem services they provide. 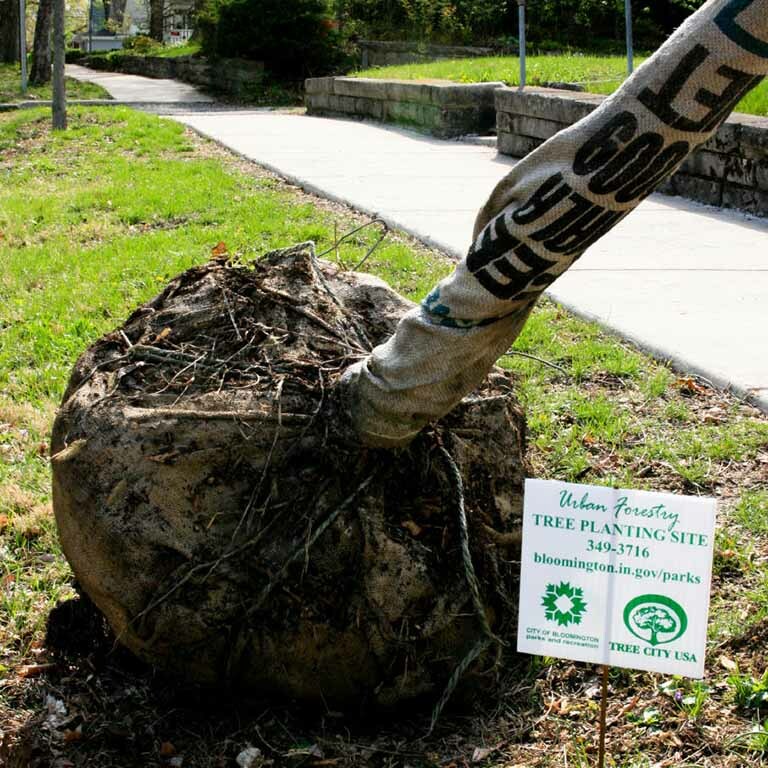 In recent years, communities throughout the United States have sought better means to protect and promote street trees through stronger city tree ordinances, tree care manuals, greenspace plans and public outreach programs. Despite these efforts, significant confusion remains regarding the status of street trees. Ownership and management duties are often unidentified or misunderstood. Ordinances designed to protect street trees as a resource are often difficult to enforce, and monitoring is scarce. For this project, we examine how the confusion regarding street trees may qualify them to be classified as a common-pool resource—subject to tragic outcomes in the absence of proper management. We investigate whether sound management mechanisms are currently underdeveloped, and seek to provide recommendations for how protection could be better promoted. See full grant information on our Funding page. IU News Room press release: “If a street tree falls…what does it take to make sound policy?” August 12, 2008. BUFRG's Sarah Mincey speaks about Managing the Urban Forest as a Commons on the International Society of Arboriculture's ArborViews podcast series.